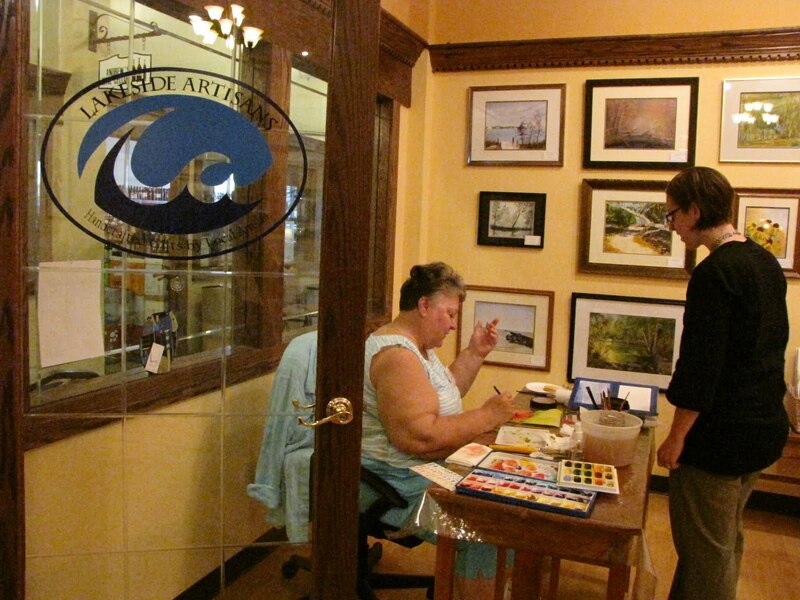 A new “great idea” has come to the Oswego arts community. 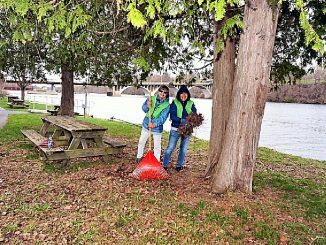 The Lakeside Artisans LLC is the 2010 winner of “The Next Great Idea” Business Plan Competition run by Operation Oswego County. With the idea for a retail showcase to promote local artisans, the group beat out nine other contestants to win the $25,000 prize. 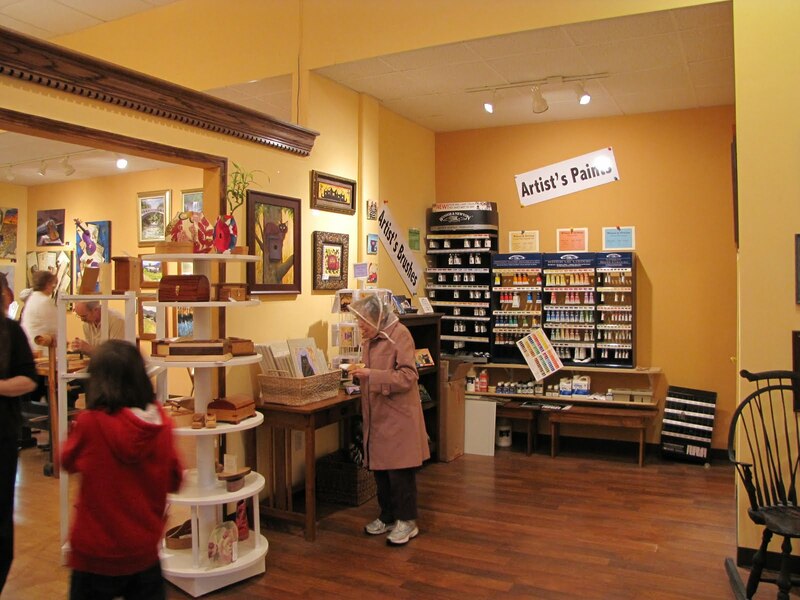 Now, that idea has become a reality as the Lakeside Artisans Co-operative recently opened their distinctive shop and gallery in the Canal Commons at 193 West First Street in Oswego. 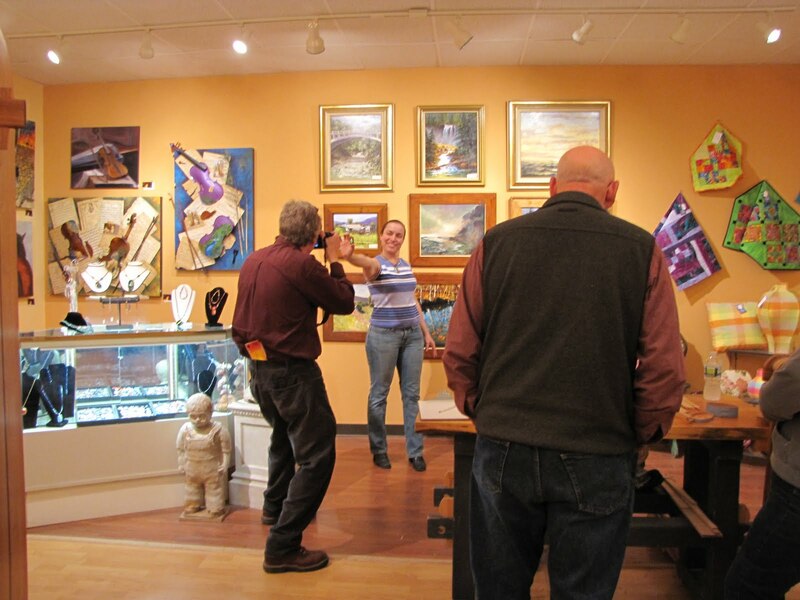 It is a beautiful space where local artists display and sell their fine art and quality craft products – everything from pastels to pottery, watercolor to woodworking, and more! The gallery is warm and welcoming. 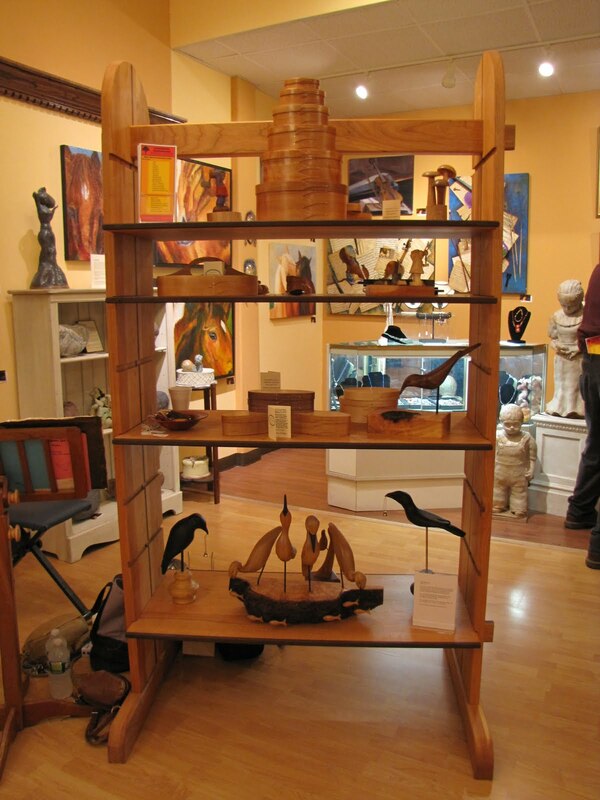 You can browse at your leisure or learn more about the work from the artists at hand. 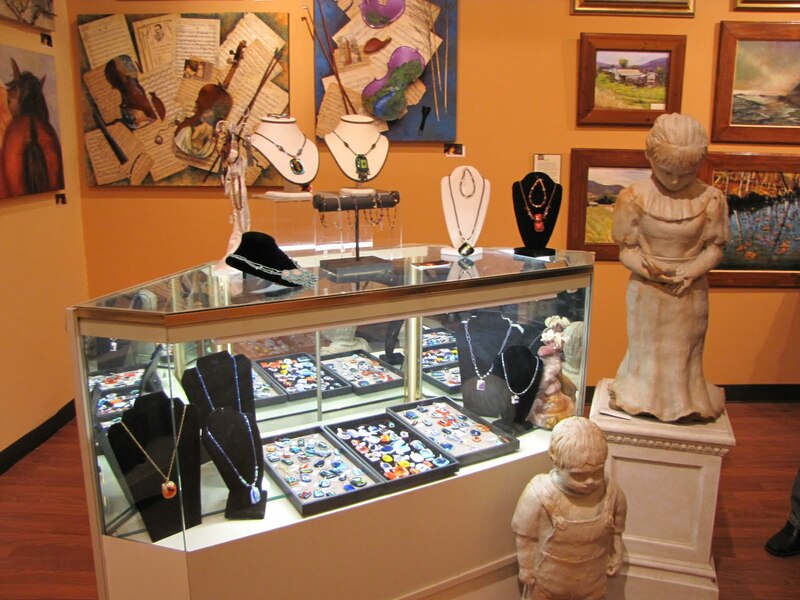 There is a diverse collection of mediums, so you’re bound to find something perfect for your own space; or a great gift idea for someone else. Their work includes painting and prints, cards and calligraphy, ceramics, printmaking, woodwork, fabric art and jewelry. 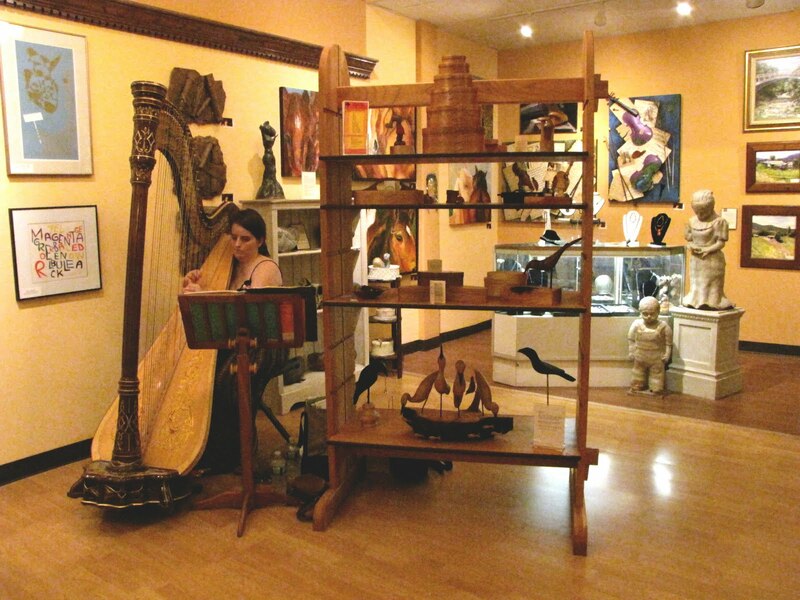 Many talented artists were in residence during the recent opening reception, including Sandra Dowie, the featured Artist of the Month, and Marcella Slater, a jewelry artisan and harpist who enchanted the audience with her whimsical sound. 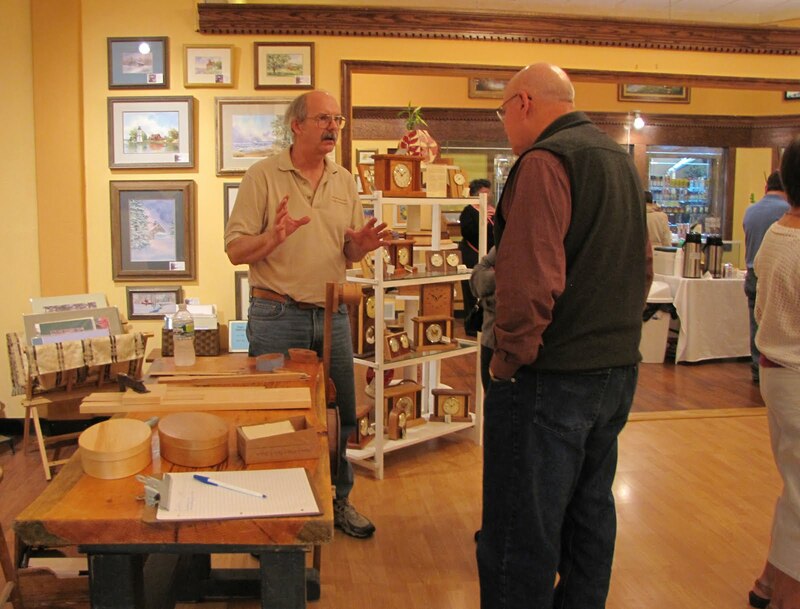 Other artists offered demonstrations such as watercolor by Carol Burghart, shaker box-making by Master Box Maker Steve Grasselli and professional woodwork finishing by Brian Leary of Lakeshore Hardwoods. Carole Burghart demonstrates the art of watercolor. Marcella Slater presents enchanting compositions. Gallery guests enjoy the interactive reception. Master Box Maker Steve Grasselli discusses his craft. 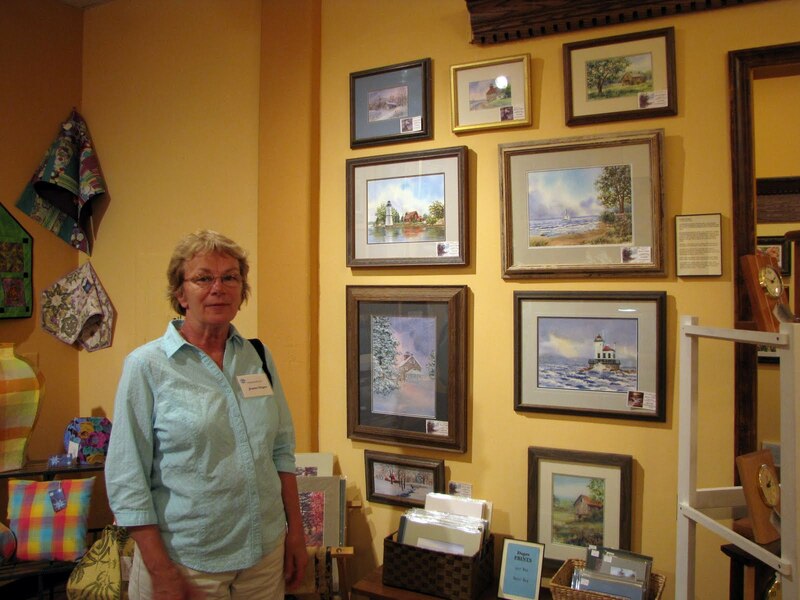 Artist Jeanne Dupre displays some of her watercolor landscapes. Artist of the Month Sandra Dowie greets guests with a welcome smile. 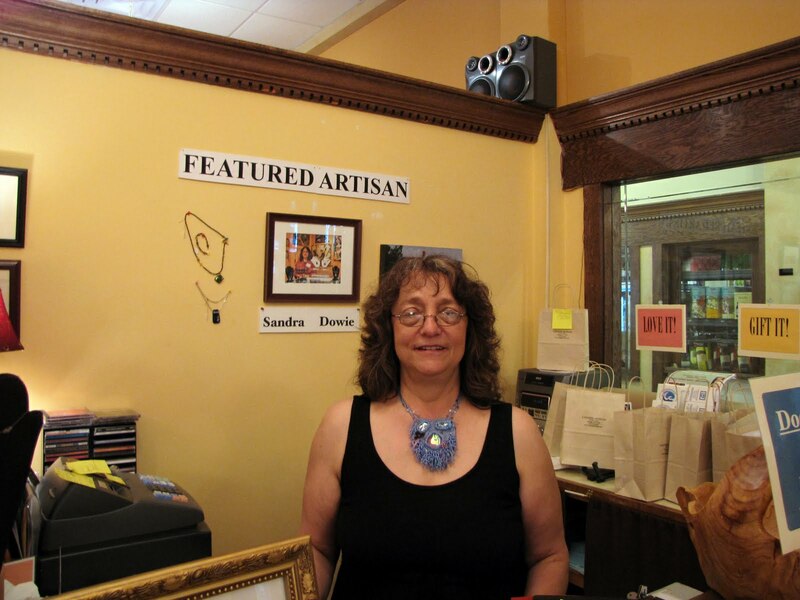 Lakeside Artisans Co-op is owned and operated by the artists themselves – “a business by democracy.” Management is decided by election and day-to-day operations are maintained by the active participation of the membership. The group is currently accepting applications from local artisans and craft persons. In addition to traditional disciplines, they would also like to include: stained glass, basket-weaving, leather and fabric arts. If you would like to share your talent and live in or around Oswego County and the immediate surrounding area of Northern Central New York, please contact Lakeside Artisans at 315/342-8880 or [email protected] for an application. 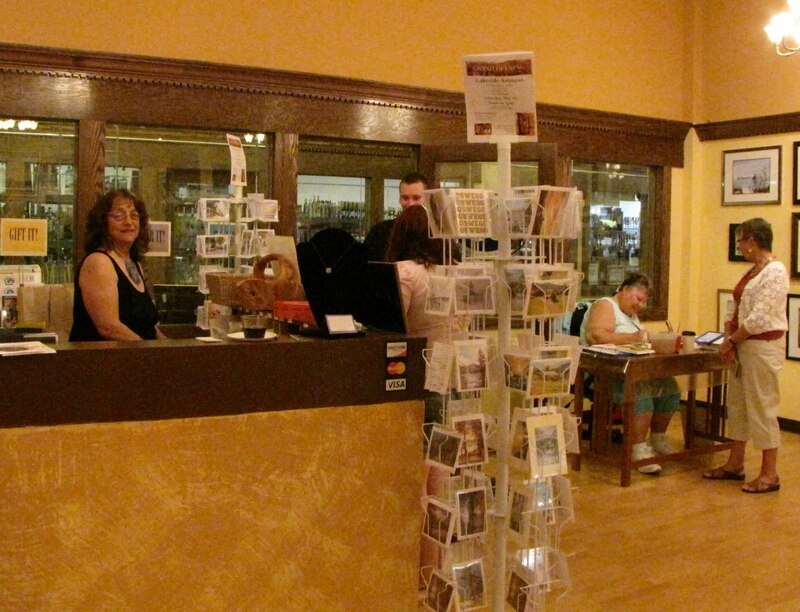 Visit their Web site for more details: http://www.lakesideartisans.com/.